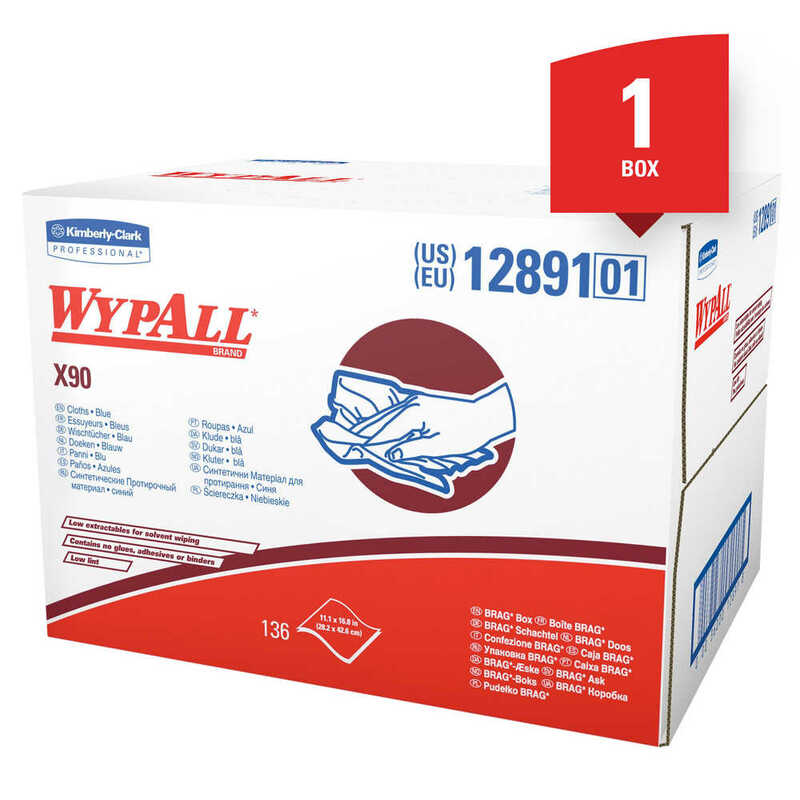 When you have a tough job, reach for WypAll X90 Extended Use Reusable Cloth Cloths in the large BRAG Box format. 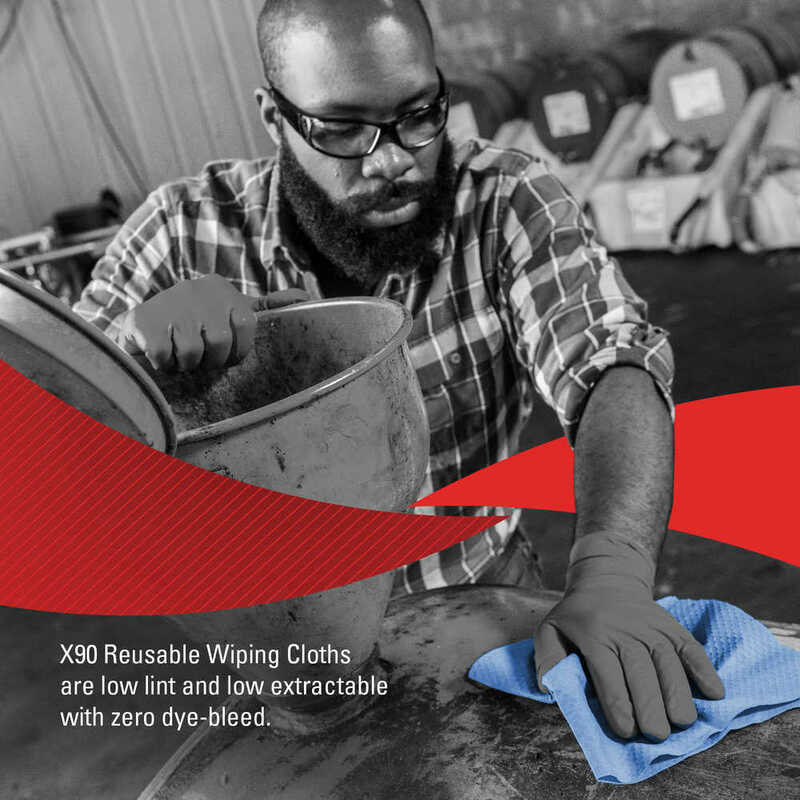 With their innovative design, WypAll X90 Cloths have the highest fluid capacity of any WypAll Brand product; they can lift and release fluid. 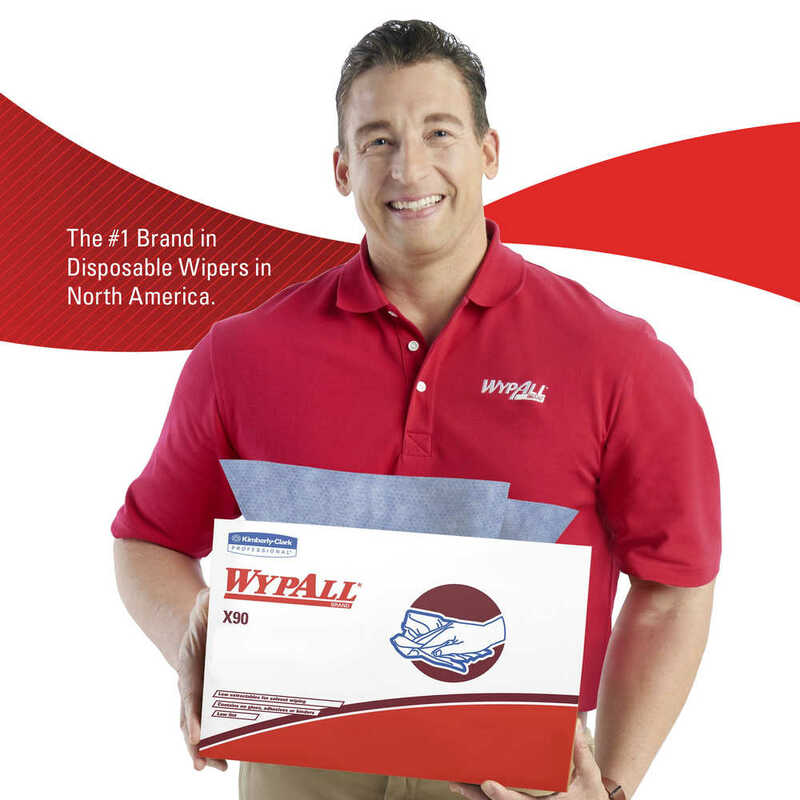 In fact, they provide 75% more oil absorption and 35% more water absorption (than Wypall X80 cloth). They deliver superb fluid handling which allows you to accomplish clean wiping applications like never before. 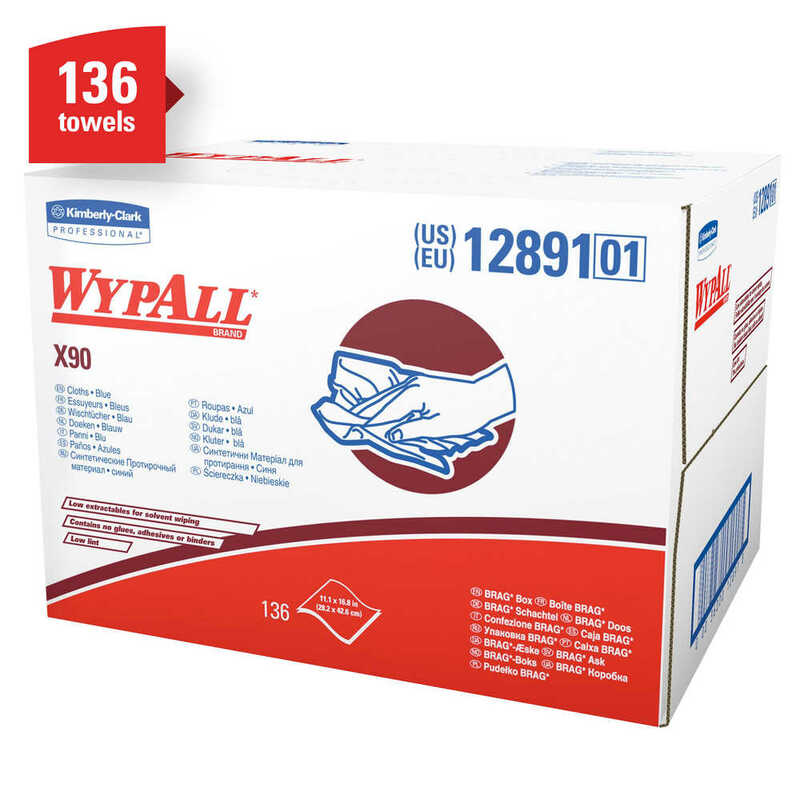 They’re ideal for solvent wiping, surface preparation, equipment cleaning, repair and maintenance tasks, so when you need durability, cleanliness and high fluid capacity, reach for WypAll X90 Cloths. 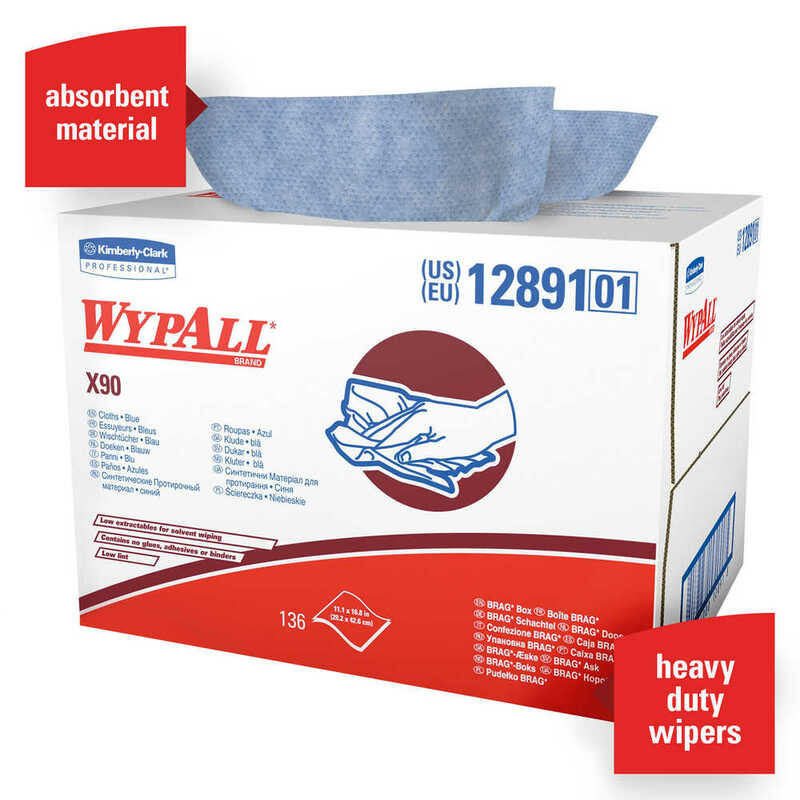 Wypall X90 Reusable Wipes contain no glues, adhesives or binders, which means there are low extractables for very clean solvent wiping. 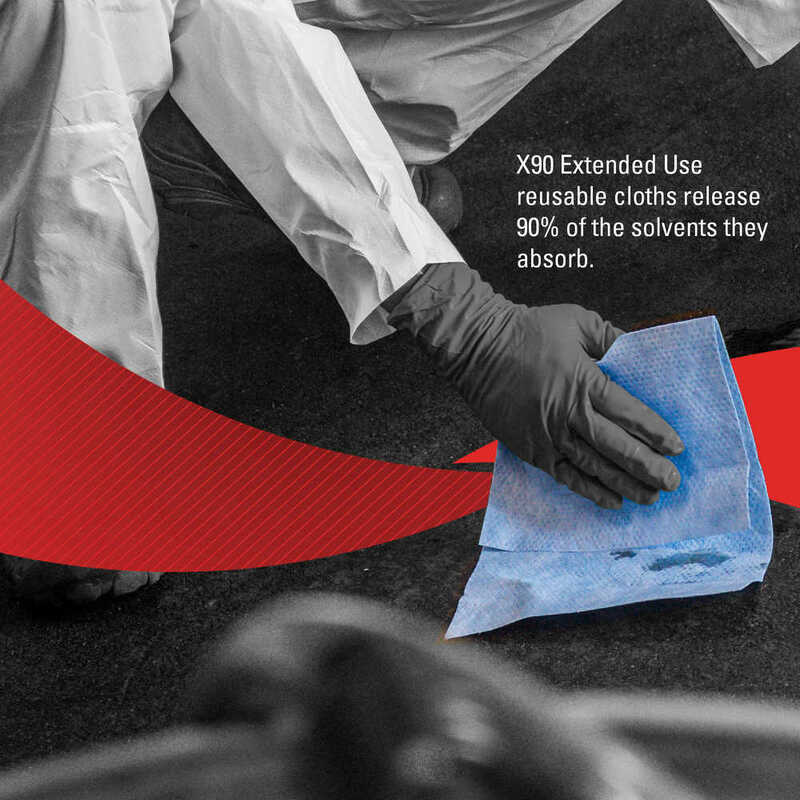 They feature outstanding fluid reservoir capacity for absorbing or delivering fluids – so you’ll waste less of your valuable solvents (they release 90% of the solvents they absorb, outperforming rags and reducing your solvent spend). In addition, these cloths feature increased durability for continual and repeated use, just like a cloth. 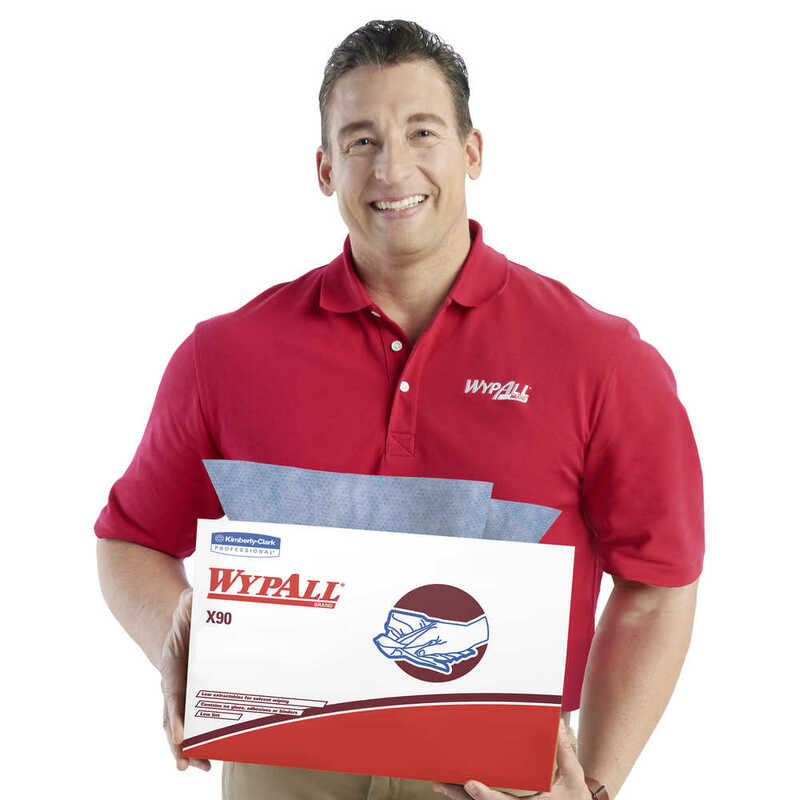 The WypAll Brand guarantees a 20% savings in solvent usage overall. Moreover, the innovative dispensing solutions are portable, so cloths can go anywhere.